It has become obvious over many years that although all pigeons have similar physical attributes, variations in these inheritances will enhance the capabilities to make some more capable athletes than others. Also some will be more capable of passing these enhancements down from generation to generation. 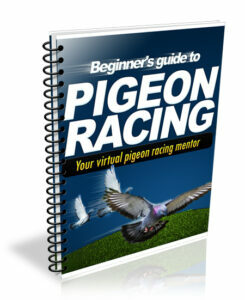 This has been the cause of many discussions and arguments since the evolvement of racing pigeons I presume. In the course of an average month I handle over one thousand pigeons, amongst these are champions in their own right down to the most mediocre of birds that should never be allowed a perch in a successful loft. I mention this to point out as the old adage says, Practice makes Perfect and what better practice than the examination of a thousand plus birds every month. It has therefore become apparent to me from all these birds I handle of which I have computer notes of a hundred thousand plus from the strains and families, that do well and that I have personally examined. All have certain attributes in common, whilst all have different variables in there physical attributes. This is where, once again the self professed specialists go horribly wrong , for what appears the correct thing to look for in one family or for a particular area can be fatal if used as the selection for another. Body people, eye sign people, feather or wing people, people who go on bone structure, many make this fatal mistake. They may all be correct for their particular area or similar climatic conditions, but so wrong elsewhere. 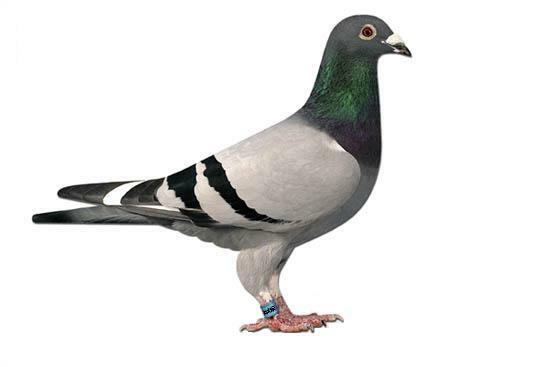 From all of those that have written articles on any of the attributes of pigeons, there is only one who seems to have been aware of this from the articles I have read and because of his awareness has steered around it. That is why many are so correct for their own area and so incorrect for other areas. Suffice it to say that until these people have done a survey of a whole country or two maybe in separate hemispheres, they will continue to cause doubt and disbelief in there theories. Even when you listen to the geneticists in our sport, (qualified or unqualified) they seem to have it all cut and dried until Mendel proves to them that you must not take all these theories for granted. Mendel more than anyone I have read about, sends you back to the drawing board just when you think you about know it all. This is why I state that all you may learn from my writings are the selections or choices I have made from the words of Masters in the Art and of which I find to be the most reliable from personal experience. This is a very important attribute, which never seems to be concentrated on for genetic improvement. Like most creatures there is a variation in the nostrils of our racing pigeons. Pigeons with very little nostril membrane are less restricted to oxygen intake when flying at high altitude or speed. The bird with a large membrane will be restricted when flying high or at speed because this membrane closes and forces the pigeon to mouth breath, which in turn makes it thirsty and it will go down for water and you have lost the race. I perform a bloodless operation at some of my seminars to demonstrate how it is possible to improve this defect of nature. Photographs showing this minor operation will be published in my book and will also be demonstrated on my seminars in the United States of America, December 2001. God Willing. The air, when inhaled through the nostrils passes down through a cleft in the upper mandible. You will see many fanciers opening the upper and lower mandible to check if this cleft is open. If it is closed many start treating for mycoplasmosis and other respiratory ailments. The birds respiratory organs are controlled from the brain, so many birds on having their beaks forced open immediately switch to mouth breathing, which in turn closes the cleft in the upper mandible. To check the respiratory tract by this method is therefore another fallacy, practiced by young and old alike and copied and taught by others. My answer to ascertaining whether or not these air tracts are working satisfactorily is by a much more commonsense approach rather than this practice of ancient dogma. All one needs to do is hold the upper and lower mandible closed with thumb and forefinger and hold the birds nostrils close to ones ear. If there are no rattles, struggles, squeaks or squirts, but just a silent easy breathing, then everything is functioning correctly. Little needs to be said on this subject, some look for an oval throat where others say a round throat. Let me emphatically state here and now that different pressures on the pigeons body by a persons hand, however so slight, or increase and decrease in breathing through anxiety, can change this characteristic from second to second. We are a bunch of dogmatic individuals as I stated in the Article on ancient dogmas. I do prefer to see the tongue sit comfortably in the contour of the bottom beak, which shows that there is no restriction or anxiety and that all respiratory tracts are fully functional. When all the above are working in harmony, you will find that the air sacks swell in the pigeons body,(bone and muscle) the pigeon then feels plump but very light. Do not be fully convinced by those that will tell you it is the correct diet that causes this effect, for in most cases the air sacks are pumped full of oxygen, it is not muscle, it is air. This is a controversial subject, written by very few who really know anything about it , but written by many who paint pretty pictures and diagrams and know little whatsoever about it. Many have condemned eye sign altogether and I must sympathise with them in two ways, one because they did not have the resolve and pay a little on school fees to watch one of the very few experts give a faultless demo before deciding to reject it. 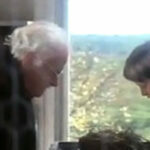 The other is because they read a couple of books, did not understand them and threw them into the trash can. Fifty percent of writers on eye sign have even named and portrayed the sphincter muscles incorrectly. To try and convince them that this was the way for one hundred years or more and that some person who misunderstood these rings had a following and was adopted mistakenly as such is impossible. But there you are, people make mistakes and others follow, I can name some famous eye sign people who followed these mistakes and it makes me wonder how eligible or reliable were there mentors. Or maybe they just read a book and became an authority on the subject. I have read a couple of books on astrology, but I am not an astrologer, but I am afraid that most who have read a book or watched an eye sign video are self professed Iridologists. Therefore, I have decided that the first great revelations on the eye from me, will be in my chapter, ” THE REFLECTION OF THE SOUL” no paragraph could ever do it justice and I intend to make an all-out attempt in this colossal chapter to leave no doubt in the minds of the sceptics. It could end up a book within a book, giving the fancier two for the price of one. We did mention this subject in the previous article on selection for the stock loft. Like all other attributes the bone structure causes much discussion and controversy, I will therefore try and put the fore and against in the right perspective. We all are aware that winners come in all shapes and sizes, but one conformation they all have is a relative height to a relative length, recognised by the more knowledgeable fancier as balance. When a fancier takes hold of a bird in his hand, gives it a little shake and makes the statement that it has perfect balance or to the contrary it is out of balance be careful. This person intentionally or otherwise is misleading you, it is not a hunting knife that can be balanced this way, but a creature of flight, distance and speed that is more discernable by sight or a measuring tape. In particular I prefer the long deep keel bone like the corvette and as mentioned in the previous chapter the humorous bone to be structured close to the side of the body. The advantage in the long deep keeled bird is that he will not put on extra weight or fat easily, whereas the short keeled apple bodied pigeon must be kept constantly in racing trim with strict rations and extra exercise. What is known as paying for your wins with high fuel costs for training. This type of bird creates extra work and attention and is definitely not my choice for a regular organised team, although they do win races. It is a matter of choice which suits your loft management. My reasoning on the whole aspect of this article is this, if a bird can, because of its attributes meet and negotiate all these obstacles , why bother breeding to pigeon strains that will only perform under certain conditions. I fully understand that different geographical areas because of prevailing winds and distance cause people to breed a certain type of pigeon for that particular area. These people often sell this type of pigeon to other areas where they become inferior and sometimes virtually useless. I deplore this type of feather merchant outright, not only do they do the buyer an injustice they do the sport, and the improvement of the strains of racing pigeons an injustice also. No Such Thing as a weak back.!!!! !enough said about this stupid dogma. This anatomy has caused the elimination of some great pigeons , look at the swan, what a great long distance flyer. Look at avionics, the Concorde and the Lier jet what can be more long necked and yet supersonic than these. We the fancier striving for what we believe to be perfect attributes, must be very careful we do not end up with a loft full of show homers. There is much to discuss in the book on these subjects, plus muscle and others, but in closing let me say that the people trying to increase big muscle are heading in the wrong direction. Put the biggest muscled runners against two of our South African thin little ladies and see how far behind they will finish. The reason is simple, the larger the muscle the more difficult it is to achieve flexibility and this is the secret of physical speed and stamina or endurance.FLEXIBILITY and I am shouting.A fancier needs wheat Germ Oil, not Creatine, the sooner the fanciers start doing their homework the commonsense way, instead of believing every advert for good birds and pigeon enhancing drugs and secret methods, the sooner sanity will return to the sport. Everything is available to those who are prepared to extend their researches into the hidden mysteries of nature and science. No1. The mediocre birds with the mediocre fancier, these both fancier and bird are mostly destined for mediocrity the rest of their lives. No 2. The good birds in the hands of the mediocre fancier, in these cases one swiftly influences the other to either failure or success, let us hope to the latter, which is not often the case. No 3. The good fancier with average birds, this situation shows a turn over in birds on a yearly basis, many successes but never producing much of value. The motto of this loft, “Fly Or Die” no three or four years old winners here. No 4. This is the loft I have the joy of visiting on very rare occasions, the stock is good, the stock people are good, it is easy for a person like myself to pick out the best every time. One is only in these hallowed grounds for just a short while before one realises you are with fanciers who have Mastered The Art. This is where I become very quiet and not my loquacious self, in the hope there is something to be gleaned from these rarities in the sport if I can only get them to talk. Nine times out of ten they remain very withdrawn and only volunteer anything when asked a question. Most however that fall into category one two and three are straining at the leash to prove to you how well they are doing. 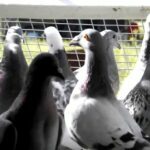 They are full of advice that as a visitor I am forced to listen to, and not question in any way, but at the end of the day, we all have one thing in common, our undying love for the Racing Pigeon. either and have flown very well over the years.Regards Brad. I think intelligent with a strong character bird is more important . Good articles, I have met Mr. Barkel and read his book. The man has alot of knowledge and experience, but we must remember that what works for one man/woman doesn’t always work for you. Keeping that in mind, read all you can with an open mind and use what you can from each book you read. Do not be afraid to try something different, it just might be what your looking for. I find it hard to believe that anyone can hold a pigeon, or look in it;s eyes and tell you if it’s a good one or not, maybe, I don’t know………. One thing for sure the basket will tell the truth,something we humans seldom do these days it seems. 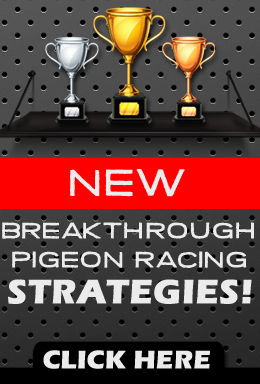 Test your birds, but enjoy them and what we do………..RACE. Enjoy the more technical articles as well! This is important, just a few minutes can help you find out “how” ready & fit your birds are.